7-11 November 2018 it will be colorful at the exhibition center Messe Berlin. International trade fair for handicrafts, design and natural goods Bazaar Berlin 2018 opens its doors and invites all fans of craft to discover exotic products from all over the world. 500 manufacturers from 60 countries and wide offer of crafts from clothing and accessories up to Christmas decoration – Bazaar Berlin 2018 can surprise everyone! On the Bazaar Berlin you will find five thematic zones: Art & Style, World Market, Fair Trade Market, Natural Living and Winter at Home. And it is worth to visit all of them! Are you a fashion fan? Art & Style present products in the field of fashion and design. Organic products for health and relaxation await visitors in the Natural Living zone. Nutrition, natural cosmetics and natural textiles, Ayurveda and wellness products – here you find everything not only for physical but also for mental well-being. The World Market is an exotic shopping mile of cultures. 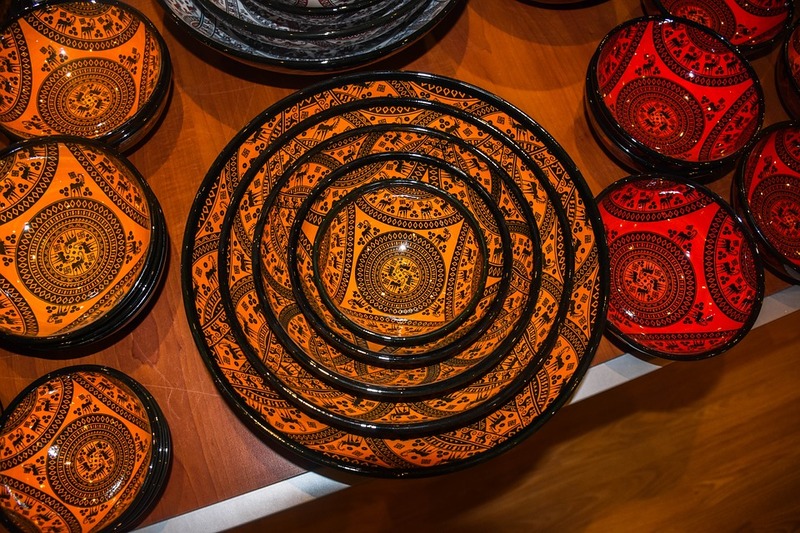 Here you can find exceptional products from all over the world: from African drums, fabrics from Asia and specialties from Europe, to jewelry from Australia. And if you already count the days before Christmas, then visit the thematic zone Winter at Home. It has everything for holiday decoration, as well as souvenirs, gift ideas and Christmas goodies. Bazaar Berlin 2018 is the best way to make November more colorful. Berlin offers many special events in November. To experience all of them you need accommodation in the center of the city. Choose our hotel pension Classic at Wittenbergplatz. You can reach the exhibition center Messe Berlin, where Bazaar Berlin 2018 will take place, in just 20 minutes. In our hotel pension you can relax in quiet atmosphere and save your money for unforgettable shopping at Bazaar Berlin 2018.